Join Pamela Green to explore answers to this question, as well as discovering how this support during pregnancy, labor, birth, and postpartum, can be of benefit in preparing for your birth. Pamela has been serving women during pregnancy, labor, birth, and the postpartum period, since 1990, in hospitals, birthing clinics, and at home births. This is an adult only event. There is no cost for our evening together. Here is my interview from this recent conference. You can subscribe to the channel on YouTube to view the entire Conference! I enjoyed this recent interview with Katie Switzer, from Guilt Free Families, as we considered and explored answers to this question....along with many opportunities found in the work of parenting. 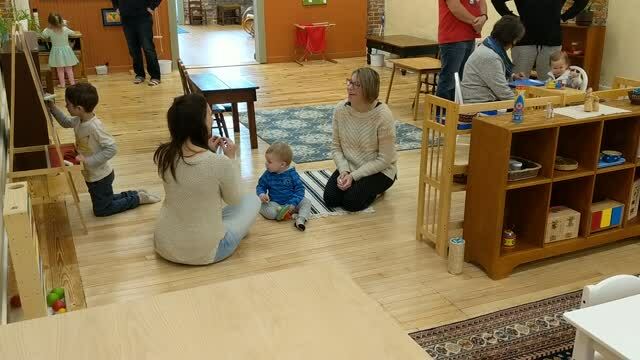 Every fourth Monday evening, of every month, the parents of Ananda Montessori gather here to share observations, discuss topics relevant to their parenting, and to experience community. I know of no other Montessori school or program in this area offering this essential resource. To support families on their unique journeys of Montessori, with an experienced mentor as their guide. This is the Ananda Montessori difference. A time for current families, and new, to come play and explore in our prepared environment. These community events happen throughout the year, and are free and open to the public.